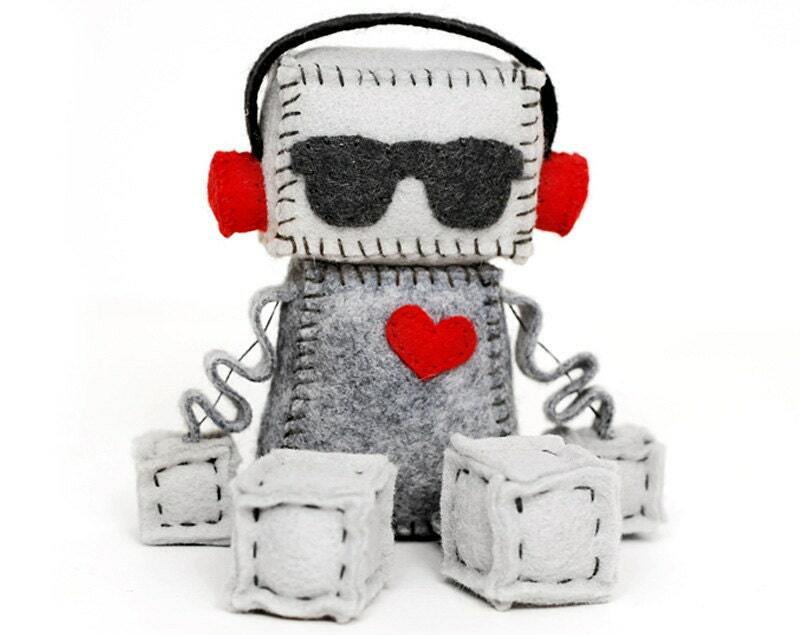 Punk Rock Robot has red and black headphones, sunglasses and a little red felt heart. He loves music! This little guy is adorable! Item as described. Love it!